Thousands of biblical manuscripts have been discovered during the past two centuries, but none of these discoveries has called into question the authenticity of a single book of the Bible. Until the twentieth century, the oldest manuscripts of any portion of Genesis were Hebrew manuscripts dating from the ninth century AD, roughly three millennia after the time of Abraham. The Dead Sea Scrolls discovered in the late 1940s included Hebrew manuscripts of portions of Genesis dating from about the second century BC, a millennium earlier. These older manuscripts say the same things as the medieval manuscripts and generally in the same words, with only the sorts of minor variants one might expect after many generations of copying. The situation with the Book of Abraham, which parallels parts of Genesis with substantial changes and additions, is dramatically different. 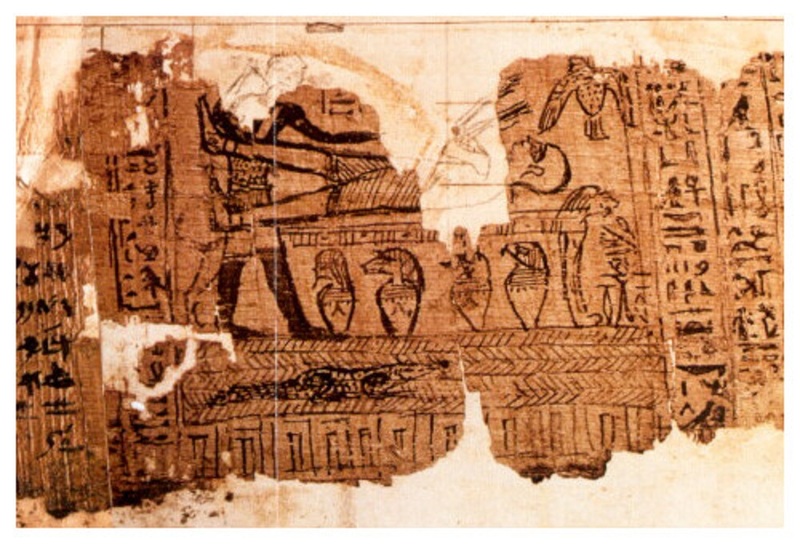 Whereas the supposed gold plates are not available to compare with the Book of Mormon, the ancient Egyptian papyrus from which Joseph Smith said he translated the Book of Abraham has been found. The papyrus even includes the drawing known in the Book of Abraham as Facsimile 1, which Joseph said represented a pagan priest attempting to sacrifice Abraham on an altar. The papyrus even dates from roughly the same time period as the Dead Sea Scrolls. However, the manuscript evidence in this case is very bad news for the Book of Abraham. Egyptologists, including some that are Mormon, now agree that the papyrus text is a pagan funeral text and that it makes no reference to Abraham at all. Thus, Joseph’s claim to be inspired to translate ancient Egyptian texts has now been proven false. Yet the Book of Abraham is part of the Mormon scriptures. The LDS Church has also abandoned one of the clear teachings of the Book of Abraham—its claim that men in the bloodline of Ham (that is, black men) were under a divine curse and therefore barred from holding the priesthood. IRR has the best collection of resources on the Book of Abraham available anywhere. This includes a helpful overview of “Ten Questions and Answers on the Book of Abraham,” a response by University of Chicago Egyptologist Robert Ritner to the 2014 LDS.org article on the Book of Abraham, a DVD on The Lost Book of Abraham that can also be watched as a free video online, a book on the subject entitled By His Own Hand upon Papyrus that can also be read in digital form for free, and several other resources.